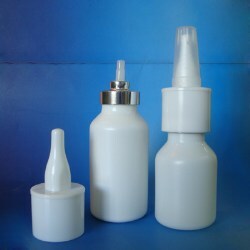 20mm crimp on metered dose nasal pump, suitable for glass or plastic vial, for OTC or Health care. 18/415 screw on nasal pump suitable for our 10ml, 15ml, 20ml, 25ml, 30ml HDPE and PET bottles. 24/410 nasal pump for sea salt water mist spray, health care packages.